In our brasserie we propose you traditional Luxemburgish meals as grandma used to make them, such as light salads and all-time favorites. When the weather is good, our guests can also sit in our Garden or on the Veranda and enjoy the food, drinks and nature. 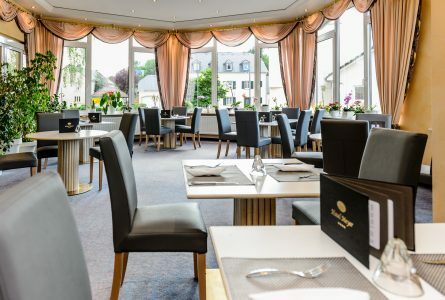 The brasserie is open without reservation for lunch from 12:00 – 14:00 and for dinner from 17:30 – 21:00.